Star-spanning strategy game Planetary Annihilation isn't really "out" yet, since it's still part of Steam's Early Access program. Not that this has stopped a boxed, physical copy of the game turning up for sale. 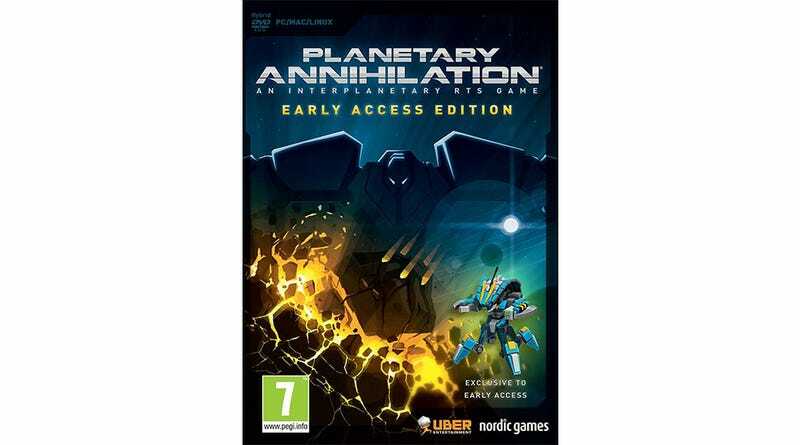 Called the Planetary Annihilation - Early Access Edition (and out in June), it costs more than the digital copy, and includes everything that digital edition does with the exception of an exclusive "in-game playable Commander" you can only get with the boxed version. Note that this isn't an early release of the finished game; it's just the latest Early Access build put on a disc and sold. You'll still need to constantly update as development continues, making this one of the most useless (if not interesting) games available today. "We think of it as an alternative to the typical pre-order, where you usually get cosmetic DLCs, skins and stuff like that, instead of actual gameplay," publishers Nordic told PCGamesN. "So we kind of want to try it out and see what happens."